From Broth to Stew, What’s the Difference? No one is born knowing how to cook. Like everything else, cooking must be learned including the tools, techniques, and terminology that go along with the craft. The terminology can sometimes be confusing, especially when definitions provided by online sources conflict or are unclear. Is it bouillon or stock? Broth or soup? And does it make a difference anyway? Well, yes and no. When it comes to cooking, knowing definitions, including the difference between these six frequently confused terms, can definitely help a new or rusty cook read recipes and increase their kitchen comfort. One interesting thing to understand is that terminology shifts through time. If you look at a cookbook from the 1940s you will see that “bouillon” was a clear soup made from meat, while a recipe printed online last year might refer to bouillon as the condensed flavor cubes found in the spice isle of grocery stores (but it’s easier and healthier to make your own). In general, however, each of these terms involve gently cooking meats, bones, vegetables, and other ingredients in liquid, with subtle variations. Broth is a thin soup made of the water in which flavor-enhancing ingredients like meat, vegetables, and herbs and spices have been simmered. The liquid is strained after cooking to remove the flavoring ingredients. The broth can be served on its own or used as the base for a heartier soup or stew. In this way, the terms “broth” and “soup” can sometimes be used interchangeably, but broths are always 100% liquid. Stock can be made from meat, poultry, fish, game, and vegetables. Brown stock is made from beef while white stock is made from chicken. Fish stock and vegetable stock get their names from their main ingredients. In general, stock is cooked for a longer period than broth to extract as much flavor as possible from the ingredients (beef bone broth, for example, is simmered for several days to extract the gelatin from the bones, which makes it a stock and not a broth). But like broth, stock is strained to remove the cooking ingredients, which have given up their flavors to the stock. Bouillon is a concentrated stock, or an intensely packed flavoring ingredient that can be added to soups, stews, and sauces. (This bouillon can be stored in the freezer and spooned as-needed in many recipes to add a flavorful punch.) The word “bouillon” is currently more closely associated with the flavor-packed ingredient than a concentrated stock, though the later usage of the term is not uncommon. Consommé is a double-strength brown stock made from two or more kinds of meat and lots of seasonings. After cooking it is clarified using egg whites, then strained. The clarification process, where the egg whites bind to small floating particles then float to the top where they can be strained off, is largely what separates consommé from bouillon. Soup comes in a wide variety, from clear to cream, to chowders to bisques, and even to fruit. Some are served hot, and some cold, and some either way. Soups are best made using flavorful broths or stocks as a base. Overall, all soups fall into one of three groups: 1) Thin, clear soups like broths, stocks, and consommé. 2) Thin, light cream soups like cream of tomato, asparagus, pea, or even lettuce. 3) Thick, heavy soups like chowders and bisques. Stew is the result of the cooking method called stewing, which produces a specific dish that differs from soup. For instance, with cooking methods like grilling, roasting, or frying, the meat or vegetables are meant to contain and envelope the juices of the food. 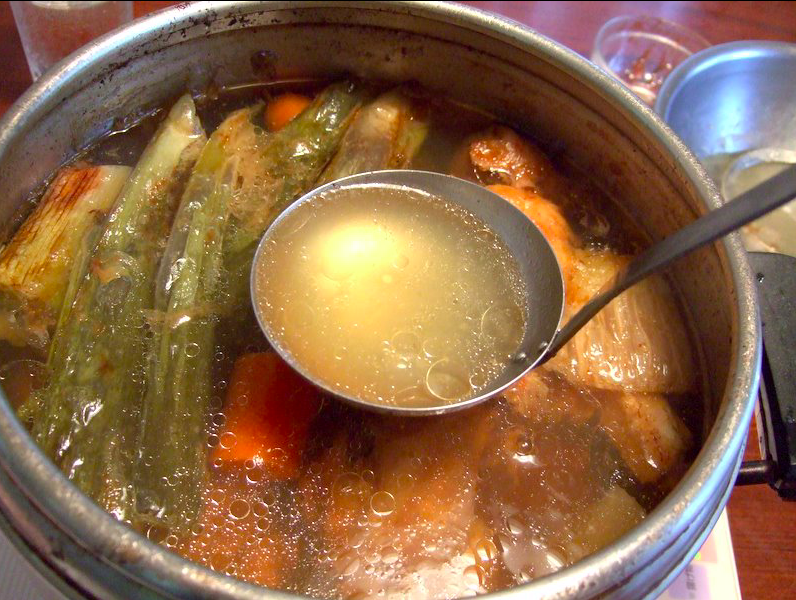 When stewing, low temperatures (between 150 and 170 degrees Fahrenheit) are used to draw juices out of meats and vegetables so the food is swimming in the juices. 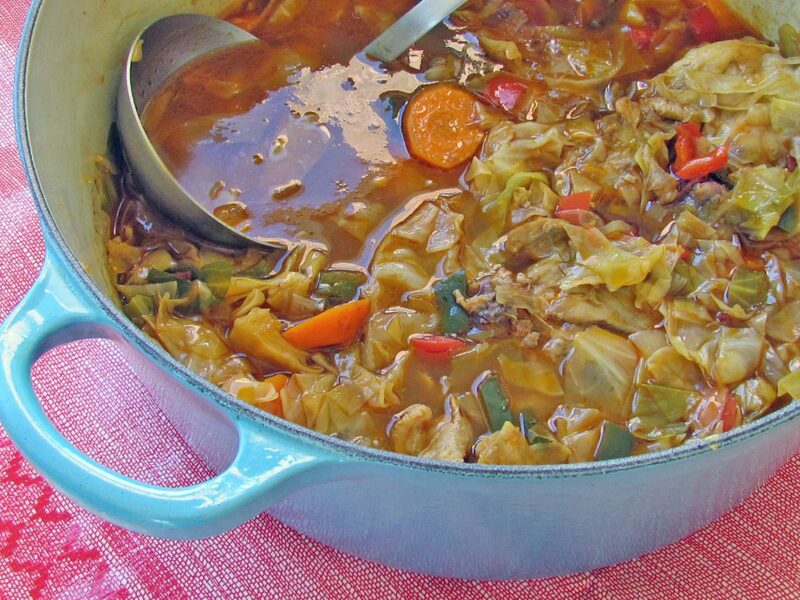 Stews are typically cooked long and slow, with vegetables being added in the last 30 minutes so they are not cooked to death. Examples of stews include green chile stew, posole, goulash, and beef stew (to name a few). Thanks for the clairification between the terms. This was helpful. We’re so glad that you found it helpful!